Enjoy your summer in a newly remodeled pool from Shamrock Pools. We are a full service pool company offering everything you need to get your pool back into great shape since 1977. Enjoy your summer in a newly remodeled pool from Shamrock Pools. We are a full service pool company offering everything you need to get your pool back into great shape since 1977. Is your pool green from algae or does it have faulty equipment? We can help! Our pool guys will have your pool clean, clear, and running perfectly in no time. Never lift a finger to clean your pool again; just call Shamrock Pools. However, pool cleaning is not all we do; we replace liners and auto fabric covers. We handle heater repairs, openings, closings, remodels, equipment repairs and pool maintenance. Prestige Pools always has been a family-owned and operated business. You have the added peace of mind that comes through dealing with me, Pat Henry and my family. I bring over 45 years of experience to work for you. We work with you throughout the construction process and for the entire time you own a Prestige Pool. In fact, all of our construction and service crews are employed directly by Prestige Pools, not seasonally hired on a sub-contract basis. This allows us to keep close personal contact with you, and a much tighter control on work scheduling, procedures and quality standards. In business since 1988 We've been serving the twin cities since 1988, providing excellent customer service and quality products. We pride ourselves on keeping your pool or spa in the best condition for your enjoyment and relaxation. At Peterson Pools & Spas, we build the best and service the rest! Peterson Pools & Spas was founded in 1982 by Greg Peterson, and even after 40 plus years of building pools, he still works hands on with every project to make sure its done the Peterson way. Manufacturer of the best non-salt, non-chemical water technology for whole house, swimming pool and spa, and numerous applications for commercial water. Our natural oxygen and ionic copper systems have root technology from NASA and have been installed in all 50 U.S. States and over 100 Countries since 1994. We offer a non salt softening and treatment system that gives you premium water that is safe and sustainable for people and the planet. ECOsmarte® is the world's leading rainwater treatment developer. Signature Pools is dedicated to providing our exacting clientele with the paramount degree of professional pool, spa and fountain design, engineering and installation. Our firm works with distinguished and discrete clients through every step of designing, installing, managing and servicing all their pool, spa and fountain needs. For nearly 50 years Poolside has been synonymous with quality service and products! Our expert and courteous staff is here to assist you with all of your backyard needs. All About Pools Inc was founded on the premise that we would build affordable inground vinyl liner swimming pools that are built better than our competitors by using a couple of simple inherent things I have gathered by being in this business for 38 years. My experience to keep quality up and mistakes down (and reduce call backs). My honesty and effort to look at my customers as friends, not just acquaintences. Accountability (building what I sell to make sure my customers are getting something they need and not just something a salesperson wants to sell.) And lastly - I keep my overhead down to keep my pricing right. Atlantis Pools has been building residential swimming pools in Minneapolis St. Paul for over 30 years. As the most trusted pool construction company in Minneapolis St. Paul, we build only high-quality pools for every customer, each designed to suit your budget, your ideas, and your home. Because of the complexity of the project, there are many decisions to be made during the design and construction process. Most property owners have no or little experience building or owning a pool. Making the wrong decisions can be very costly and cause many future headaches. To help you choose the right builder and select the options that meet your requirements, we encourage you to take the time to learn more about how swimming pools are designed and built, and get some of your questions answered first. When you’re ready to take the plunge, call us or visit our showroom or request a free in-home consultation and cost estimate. Our experts will be happy to answer all your questions and help you make this exciting project fun and enjoyable. 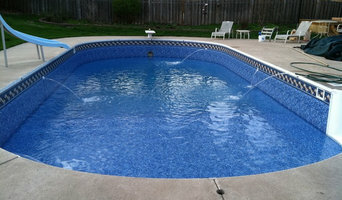 New construction of in-ground pools, above-ground pools, spas, saunas, pool related products and backyard accessories. For existing customers, we have an industry trained service department that carries a large inventory of parts and accessories. If you're looking for a swimming pool or spa for you and your family, we have just what you need. All of our backyard designs are created just for you and will provide you with years of fun and relaxation. Living Water Pool & Spa Inc, We have been in business for 4 years and have 40+ years experience in the pool and spa industry.We specialize in service of any brand hot tub or pool. No matter how big or how small, Living Waters in your full service company. 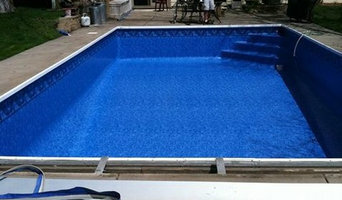 We also install pools, liners and auto-covers and refurbish used hot tubs and sell them at a reduced price. Master Pool and Spa is "Minnesota's Largest Pool and Spa Showroom" Specifically focusing on and providing the best custom built pools of all sizes at the highest quality and great portable spas. Our goal is to give you as much variety as possible and set ourselves apart from the competition. We are your full service "turn key" solution to pools and spas and all of their amenities. Simply the best in our field, we are proud to display the evidence of our success. Our showroom has on display the full line of Master Spas Hot Tubs ranging in color, size, and complexity to fit each customer's individual needs. Many examples can be found in the spas section of this website. In addition to selling pools and spas, our professional full time staff also installs them. With installation you can expect the same high standards of quality that have been our hallmark from the beginning - providing the best of the best means providing "any size" and a full range of "custom in-ground" pools with the highest standards. At Premier Pool & Spa, we specialize in pool and Spa service, and do not allow anything to distract our service team from working year-round to keep your pool and Spa running at its best. Premier Pool & Spa can efficiently and quickly work to either solve a current problem, or prevent the possibility of future issues with your pool or Spa. Premier Pool & Spa is the Metro dealer for Arctic Spas and Coyote Spas. If you’ve been dreaming of relaxing summer days spent poolside, it may be time to consider hiring a Saint Paul pool builder. A professional can not only help with design and pool installation, but also aid in appropriate maintenance once it’s complete. Whether you're at the beginning stages of planning or want to revamp your existing pool, a pool company in Saint Paul, MN will be able to get you on the right track. What exactly do Saint Paul pool builders do? If you are planning for a new pool in Saint Paul, MN, a swimming pool builder will analyze your outdoor space and your aesthetic wishes to determine an appropriate design for your yard, installing it once the plan is developed and approved. Once installed, some pool companies in Saint Paul, MN can handle the necessary cleanings, water testing, renovations and equipment replacement or repairs for your pool or spa. If not, many can also suggest Saint Paul, MN swimming pool contractors or maintenance services to help with upkeep or repairs down the road. Here are some related professionals and vendors to complement the work of swimming pool builders: Garden & Landscape Supplies, Landscape Architects & Landscape Designers, General Contractors, Landscape Contractors, Solar Energy Contractors. Before hiring a swimming pool construction company to create your new Saint Paul, MN pool, determine how you'll be using it. Will it be for fun or for lap exercise? Will the primary users be children, adults or a mix of the two? Knowing the use can help you find Saint Paul pool builders who shares your aesthetic. Once you find swimming pool builders in Saint Paul, MN who share your style, research is critical. Review customer references and comments, collect at least three to four estimates to compare, meet with potential Saint Paul pool designers and builders in person and ensure that they are Minnesota certified service professionals and licensed with the registrar of contractors before making any final decisions. In addition, get a sense whether they plan to complete the pool installation and be done with it, or whether they seem interested in building a long-term relationship with you. Be wary of the former: it's likely a reflection on the level of quality of the pool construction they do. Find a Saint Paul pool contractor or designer on Houzz. 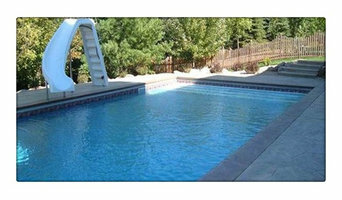 Narrow your search in the Professionals section of the website to pool builders in Saint Paul, MN. You can also look through Saint Paul, MN photos by style to find a pool or spa you like, then contact the local pool company who designed it.